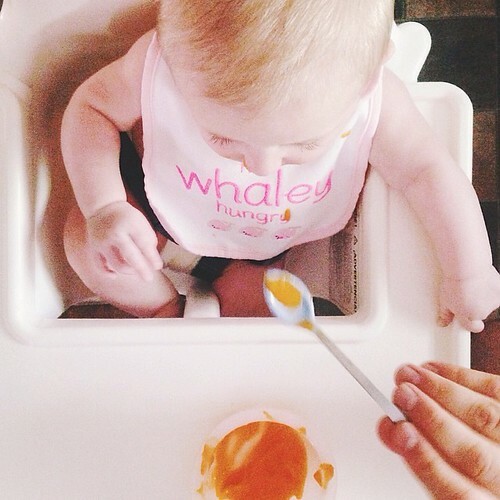 Week 21: Feeding her real food for the first time was one of the cutest adventures with her yet. Her face light up when the first bite entered her mouth and confused she spit it back out. But watching her figure out what to do with it and enjoying the different flavor was incredible and humbling. And how her little leg is always hitched up like that on one side.